Whether your wedding flower budget is modest or huge, you’ll want to make the most of the money you have available. 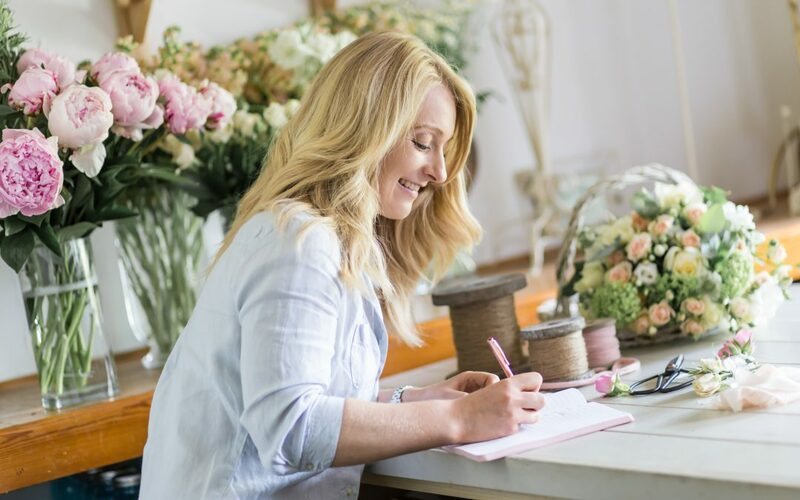 If you don’t know much about floristry, it can feel like a minefield, especially if you’re hoping to achieve a particular look or feel. Trust your florist. If you need to stay within a certain budget, try to keep an open mind. I’m always happy to advise couples about cost-effective ways to achieve their desired look. I can also tell you where to allocate your wedding flower budget for maximum impact. In most cases, bouquets and reception flowers should be your priority when deciding where to spend your money. Always use seasonal flowers. The different seasons offer up numerous beautiful blooms to include within designs, so there’s always plenty of choice. Although you can sometimes order certain flowers outside of their season, this will increase the price as a result. To find out what’s in season and when, take a look at my blog posts here and here. Opt for plenty of foliage. It’s a great way to minimise flower content without compromising on the overall impact of a design. There are many different varieties of foliage to choose from and they’ll all add colour, texture and interest. Move flowers around. If you’re having a church wedding or your civil ceremony is in a different place to your reception, I always advise couples to move the flowers across. Pew ends can either be arranged in little vases back at the venue or they can be tied to the top table chairs for decoration. Don’t scrimp on your bouquet. The bridal bouquet is your main accessory and will feature in the majority of your wedding photos. With bridesmaid bouquets, you’ll want them to complement the bridal bouquet, but they can be slightly smaller and use less flower stems. Focus on your table centres. This is where your guests will spend the most amount of time during your wedding breakfast. They bring the whole look and feel of your day together and should be a focal point of the room. In general, it’s wise to concentrate on priority areas of your venue, rather than waste money decorating spaces you’ll barely spend 5 minutes in.